We always apply our creative abilities to infuse the spirit and the core values of your company into our exclusive corporate gifts. Everyone on our team is willing to go above and beyond to make the designs of your personalized gifts speak volumes about each and every single aspect of your business, the philosophy of the company, its attitude towards customers: everything that makes it stand out from the crowd. We are capable of conveying the most important as well as certain peculiar aspects of your business into the corporate gifts. To be more precise, you can expect us to reflect your area of expertise, the corporate colors, and the company’s mission statement. Besides, our experienced designers will cherry-pick the most appropriate print for the target audience, a particular season, marketing campaign or a corporate event. To paraphrase the famous expression, a well-crafted corporate gift may speak louder than a thousand words. Regardless of the occasion, you can rest assured that our luxurious corporate gifts will leave an unforgettable impression thanks to their elegant appearance and the quality of used materials. Our handiwork products will serve as wonderful executive gifts and presents to the colleagues. People always strive for uniqueness, that’s why everyone’s trying to be original and conspicuous. Corporate gifts were created exactly for that purpose which is showing your deep appreciation through giving them the extraordinary corporate gifts that go beyond any comparison with conventional present sold at every corner. Nataliya Nova is capable of creating the exclusive charm that makes these gifts so special. When we embellish a corporate gift, a silk scarf in particular, with the company logo, we don’t just carry over the original logo onto the fabric, we also elaborate an exclusive design that conveys the essence and the core values of your business. Our masterful designers create a visual image that communicates the key information to the target audience. The scarves of various sizes and colors. They will be a marvelous addition to business suits as well as evening dresses. The ribbons of different length, width, and shape which may contain the company’s logo, mission statement or any other pattern that may serve as the representation of your enterprise. The silk pocket squares designed specifically for businessmen to underline their elegance and facilitate their overall presentable appearance. Even the greatest corporate gift will lose its allure without appropriate packaging. Therefore, our corporate gifts always come in the exclusive wrapping or boxing that is in keeping with the overall design of the gift itself. While we strive to make our products immensely sophisticated, we also make the communication and order placement with us very easy for a customer. Contact us and we will send you a small questionnaire where you will have to describe the concept and the vision of the desired corporate gift. After studying the questionnaire, we elaborate on several graphic designs. Once the design is approved by the customer, we fill out its color palette. The final version of the design will be ready over the course of the next 10 business days. The actual production and delivery of the corporate gift will take up to 16 business days. You can also send the final version of the design created by a third party and we will indent this pattern in a fabric. All our corporate gifts are made of the finest materials. For instance, we use natural silk to create scarves and pocket squares. We work in close cooperation with our clients to create gifts that highlight every detail of the company’s attributes as well as the message which the giver wants to convey through this present. ARTcetera is a well-known artistic store and showroom founded in 2012 by Joe Aronstein. It features the most exclusive handmade works of art as well as the sophisticated elements of home decor. 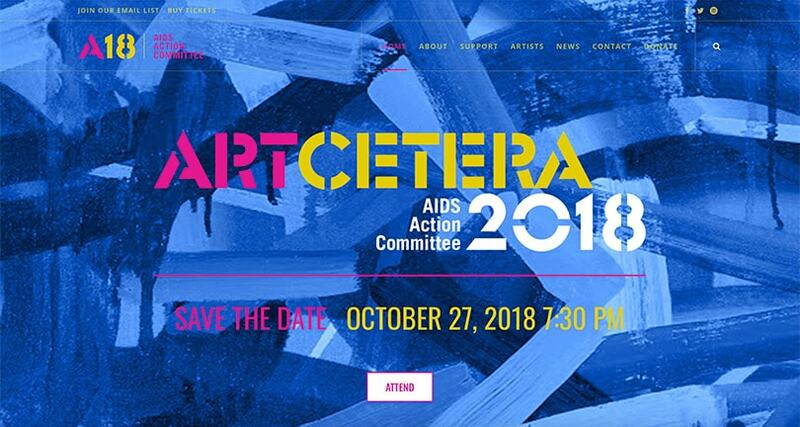 This October, ARTcetera will hold the biennial auction. All funds raised in the course of the auction will be donated to the AIDS Action Committee, the non-profit organization that helps people overcome different hardships, including such terrible disease as HIV/AIDS. This event will feature many renowned and young artists and designers who will put their efforts to help such a noble cause. Natalia Nova will be among the fashion designers who will present their works at this event. She met the organizers of the ARTcetera auction at a charity event in Boston, and it would be safe to say that they have instantly found mutual understanding. 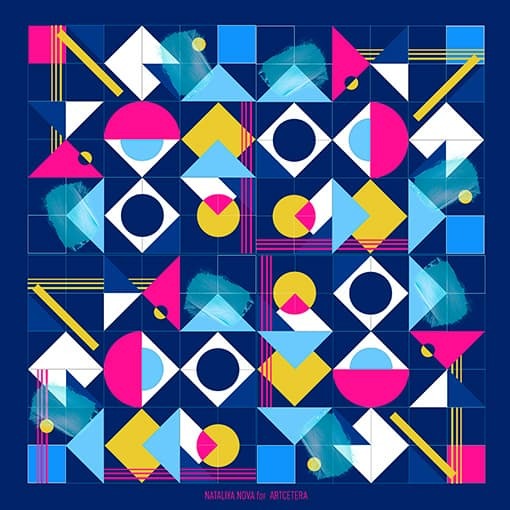 For this particular occasion, Natalia has created an exclusive silk scarf being inspired by the notion that beautiful values produce beautiful designs. By participating in the ARTcetera auction, Nataliya wants to send the message to the young artists in the local community, encouraging them to work hard and create artistic masterpieces that will serve the higher purpose.